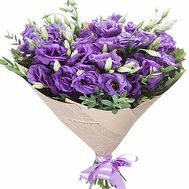 A bouquet with an eustoma is a beautiful and symbolic gift. 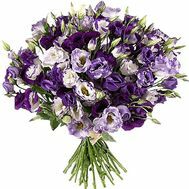 Eustoma, she is also a lisianthus, her appearance resembles a rose and a lily at the same time, and therefore carries a powerful symbolic charge. 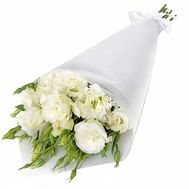 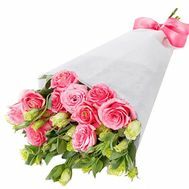 In addition, these are beautiful flowers that will emphasize youth, strength and will convey all sincere and positive emotions to the recipient. 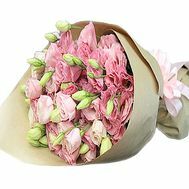 Buy flowers and see for yourself, and we are guaranteed to arrange the exact delivery of your order. 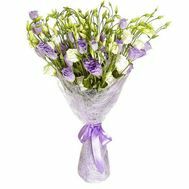 Who is best suited bouquet of eustoma? 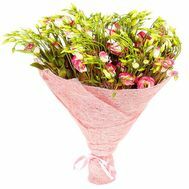 A bouquet of eustoms can not only surprise, but also touch to the depths of the soul. 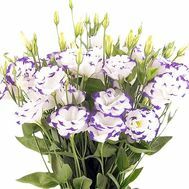 The gentle petals of this flower carry happiness, joy and a wish for well-being to everyone to whom they are presented. 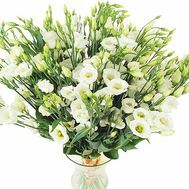 Especially if the eustoms are decorated in a large bouquet: then their influence on the person will be even greater. 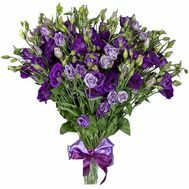 If you are in search of a flower that best conveys admiration and support, then pay attention to the eustoma. 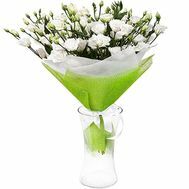 You can buy it at any time you need and hand it to almost any holiday. 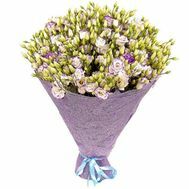 In addition, each person will like the bouquet from the eustom. 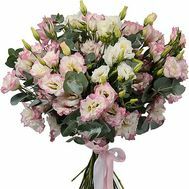 The price for bouquets from these flowers is acceptable, and therefore it is possible to arrange it in a special way, taking into account any wishes. 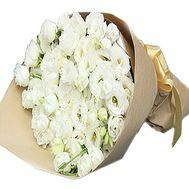 A huge bouquet of eustoms will be an excellent gift for your father for the anniversary, emphasizing not only the strength of his spirit, but your attitude to him. 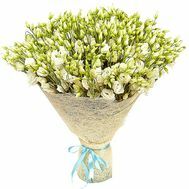 You can buy a bouquet by eustom and your beloved grandmother on March 8, reminding you of your love and affection. 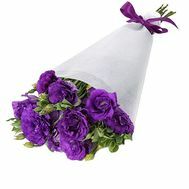 Such a present will be both an excellent basic and an additional gift for the holiday. 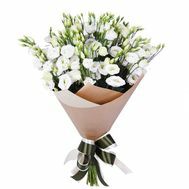 Order a large bouquet with a delivery, and you will see happy smiles on the faces of loved ones for a very long time! 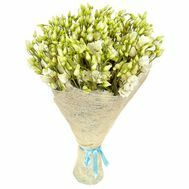 Where to buy flowers with delivery? 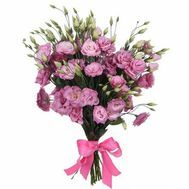 Flower delivery is our main profile, which we are proud of. 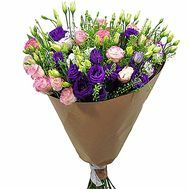 We can deliver a bouquet quickly, reliably and efficiently to any place! 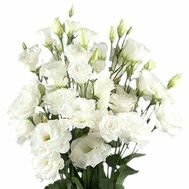 In our store you will find flowers at the most democratic prices, as well as be able to take part in promotions and get your personal discount for the next purchase!